We checked the big box stores and supply warehouses and our sawzall blades save you 53% to 67%! DiscountSawBlade.com sells premium quality reciprocating saw blades at wholesale prices. We carry the brands you trust: M.K. Morse, Freud Diablo, Lenox, and Avanti. Get the job done with our selection of metal cutting sawzall blades, carbide tipped blades, wood cutting & demolition blades, and hybrid blades. 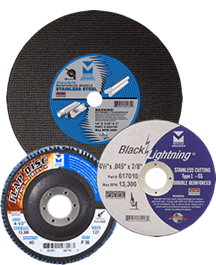 We also carry Norseman Magnum jobber drill bits and masonry bits, as well as Mercer Abrasives grinding wheels, flap discs, and cut-off wheels - all at wholesale prices every day. With over 6 million sawzall blades sold, contractors, businesses and hobbyists all over the country have discovered the value and service we provide to every customer. We accept Visa, MasterCard, AMEX, Discover, and PayPal for your convenience.